Britannia was the area of the island of Great Britain that was governed by the Roman Empire, from 43 to 410 AD. In 43 AD, Claudius directed four legions to invade Britain and restore an exiled king over the Atrebates. 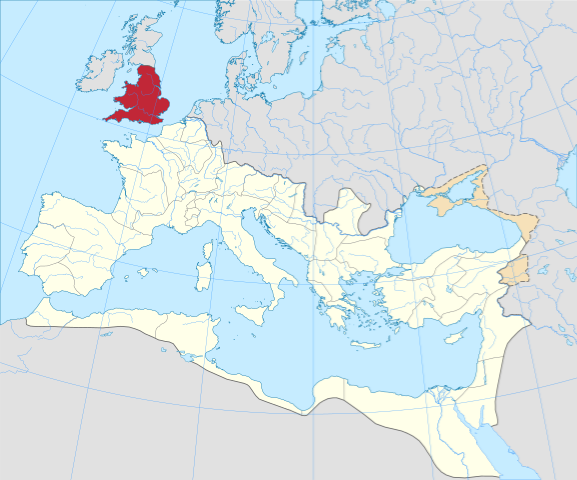 The Romans defeated the Catuvellauni, and then organized their conquests as the Province of Britain. By the year 47, the Romans held the lands southeast of the Fosse Way. Control over Wales was delayed by reverses and the effects of Boudica's uprising, but the Romans expanded steadily northward. (11) Constantine I 312-313 A.D.